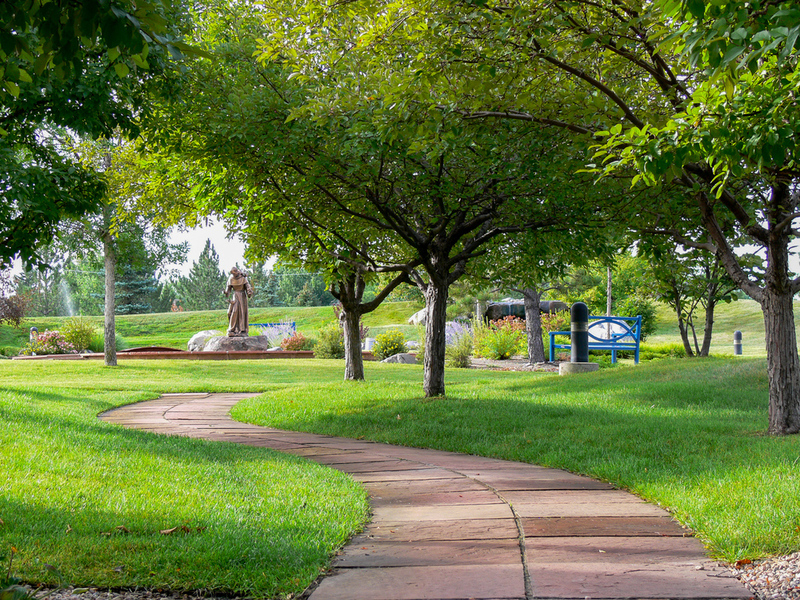 As the old convent began to reform itself as a Church and Catholic Community Center, the old elm trees that sheltered the lanes needed to be replaced with a more long-lived canopy. 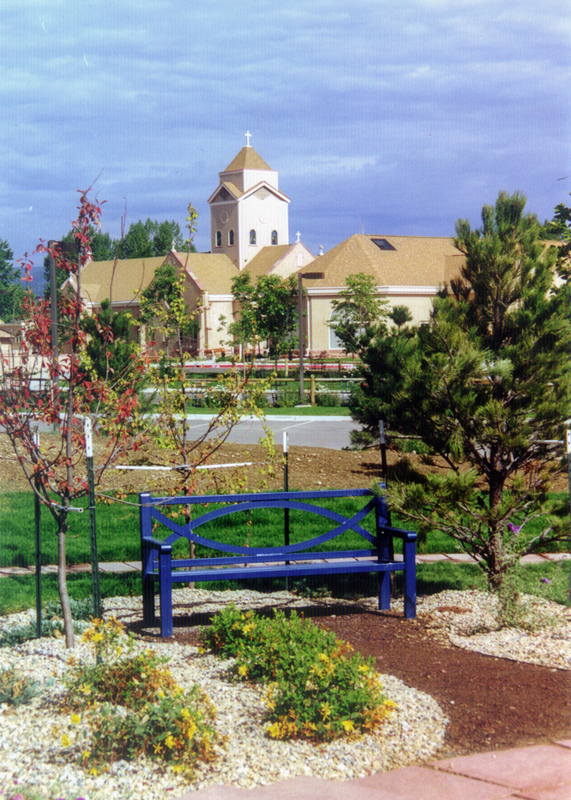 The new sanctuary became part of the historic campus through plazas and gardens which integrated the newer buildings with the beautiful old church. 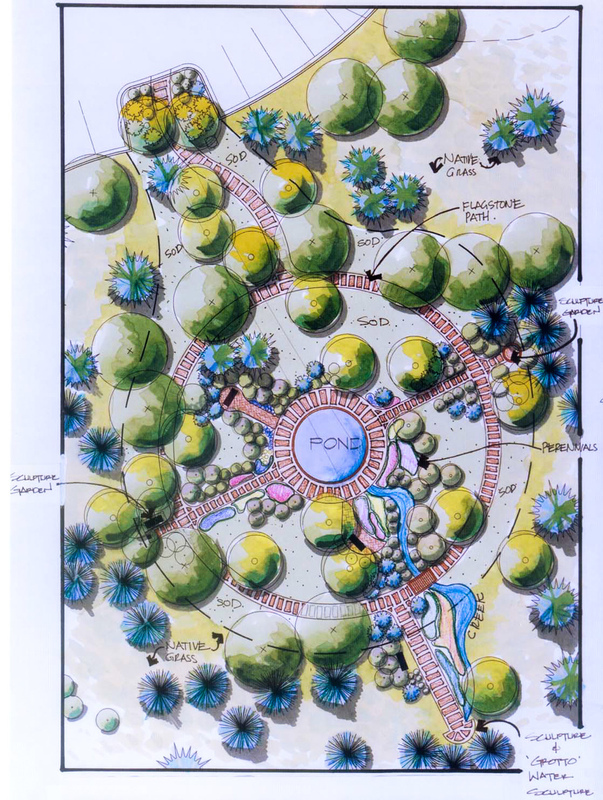 Expanded parking curved through perennial gardens and rose-covered trellises, and playgrounds and playfields became part of the open green of the site. 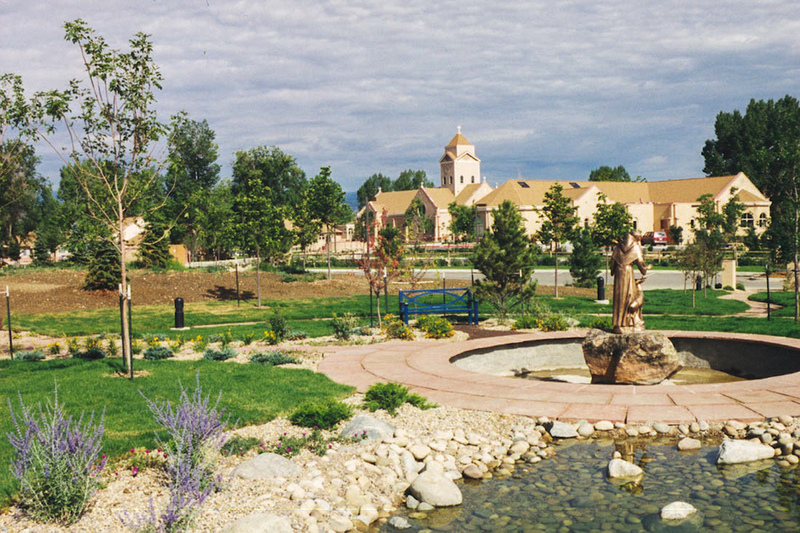 Restored native pasture and wetlands retain the agrarian foreground to the churches. 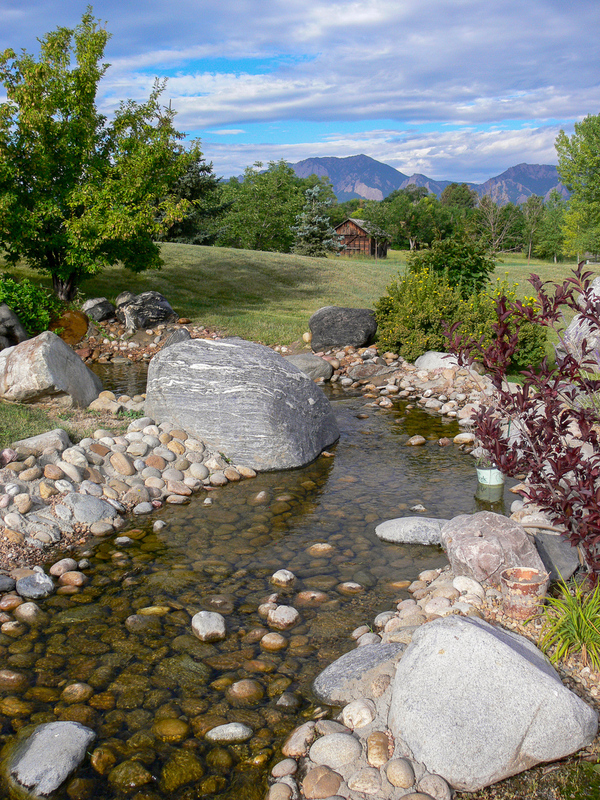 The spiritual center of the campus is a meditation garden with sculpture, a reflecting pool, sandstone walks, flower gardens and a cascading waterfall and brook. The garden is enclosed within the hollow of a hill and totally surrounded by pines and spruces. 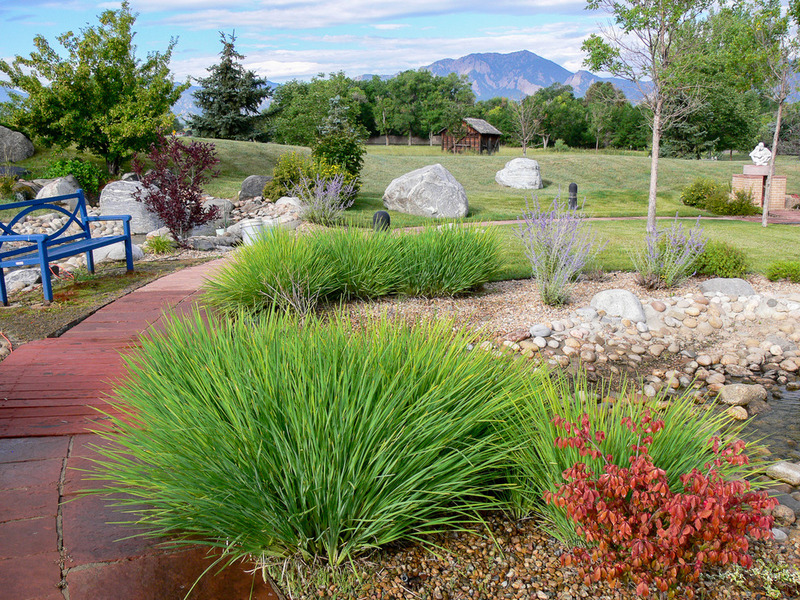 The meditative feeling is enhanced through enclosure with a focus on the flowers, water and sky.